When it comes to packing up my suitcase, I am undoubtedly quite the expert. Before you think I am bragging about this completely bizarre skill, hear me out. I once packed for 6 days in Hawaii with JUST a carry-on. I also managed 5 days at New York Fashion Week AND 5 days in Mexico. But my most recent packing achievement happened this past March when I spent 5 days in Aurora, New York with a handful of bloggers & all of our mothers. After getting off a plane with my carry-on suitcase in tow, I was asked multiple times, “Courtney, IS THAT ALL YOU BROUGHT? !” Why yes, yes it is! No one could believe it. How on earth did you pack cold weather clothing & toiletries into JUST THAT SUITCASE?! Y’all, Courtney JUST brought one suitcase! And as much as I didn’t think this was “a thing,” it quickly became “a thing.” Who would’ve thought? Well, aside from the fact that I have had lots of unintentional practice, I also have a boyfriend who DESPISES waiting at baggage claim….so what began as a challenge, has now turned into an accomplishment of sorts…I guess? But what’s ultimately strange about this skill is that I don’t really think much of it, and when complimented, “WOW, THATS IMPRESSIVE….HOW DO YOU DO IT?” over and over again, I kind of let it roll off my back. Is it really that big of a deal?! Is this considered a legitimate skill? I laugh it off go about my merry little way. But these “carry-on packing compliments” have got me thinking: Why don’t we, as women, bask in our compliments? Why don’t we stand up a little taller when complimented? Instead, we brush them off and probably roll our eyes a little bit. Think about it: How many times has someone complimented your outfit, and instead of smiling and saying thank you, we say, “Oh I just threw this on…ugh I feel so fat and I haven’t washed my hair in 5 days!” TAKE THE DARN COMPLIMENT, ladies! Enjoy the moment, big or small, and pay it forward! So now that I have learned to embrace my fierce packing skills, I should probably pass along some of my best tips & tricks, right?! I am going to be sharing how I pack my clothes in a carry-on in an upcoming KERRentlyWearing post, but for now, let’s talk beauty! 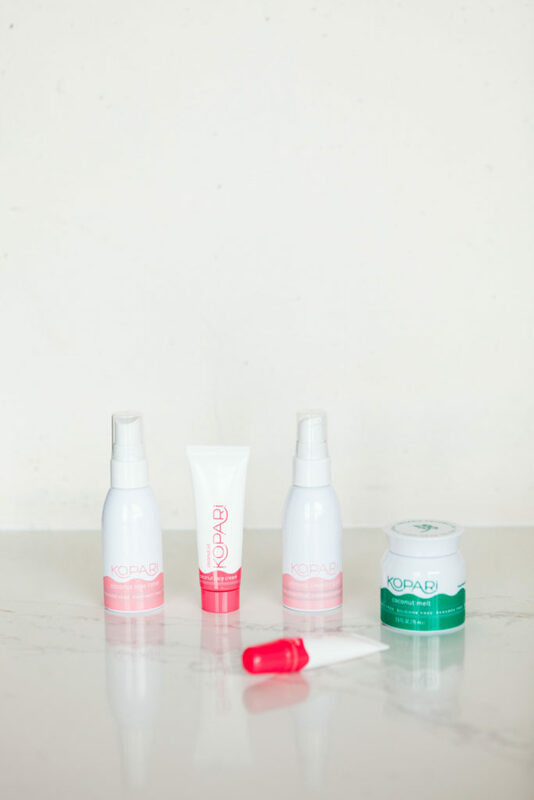 For the longest time, I has noticed that one of the biggest space swallowers in my suitcase was toiletries, and if didn’t want to check a bag, I was going to have to find which of my favorite brands were available in travel-size options! 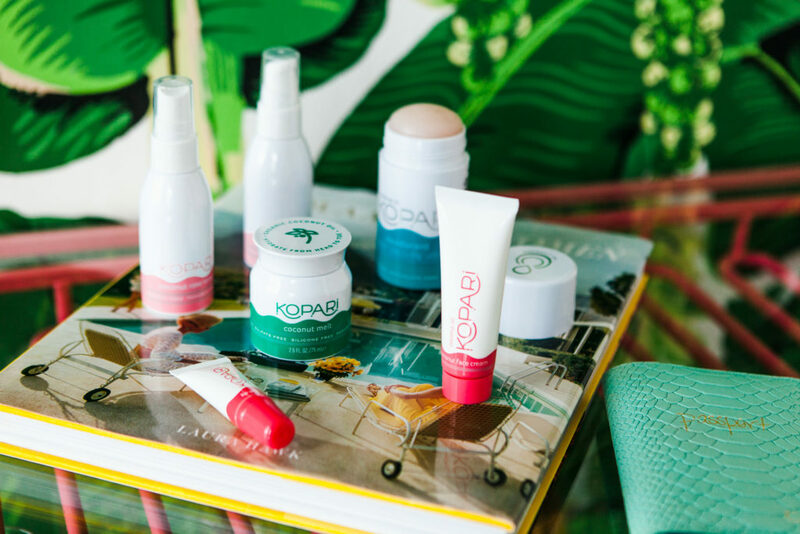 Thankfully, Kopari knows that their loyal customers are jetsetting all summer long, so they made sure to offer their skincare kit & signature Coconut melt in smaller sizes that were under 3.4oz! 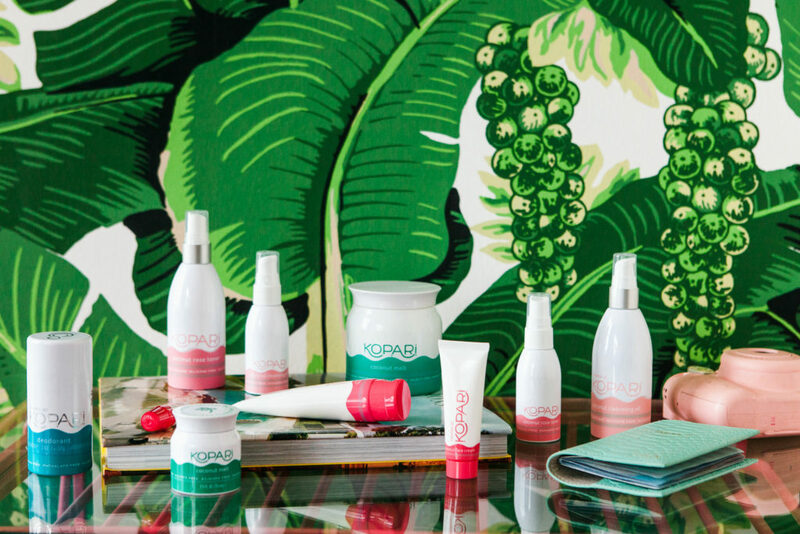 The Coconut Your Selfie Kit includes the ONLY skincare you need for a quick getaway: Coconut Cleansing Oil (seriously dissolved your makeup in seconds, PLUS leaves your skin so silky! ), Coconut Rose Toner (you can use it to spritz it on after cleansing, freshen up your makeup throughout the day, or its perfect post-plane when your skin needs a “wake me up! ), & the Coconut Face Cream (the smell alone is DIVINE, but the consistency is equally as luxurious!). 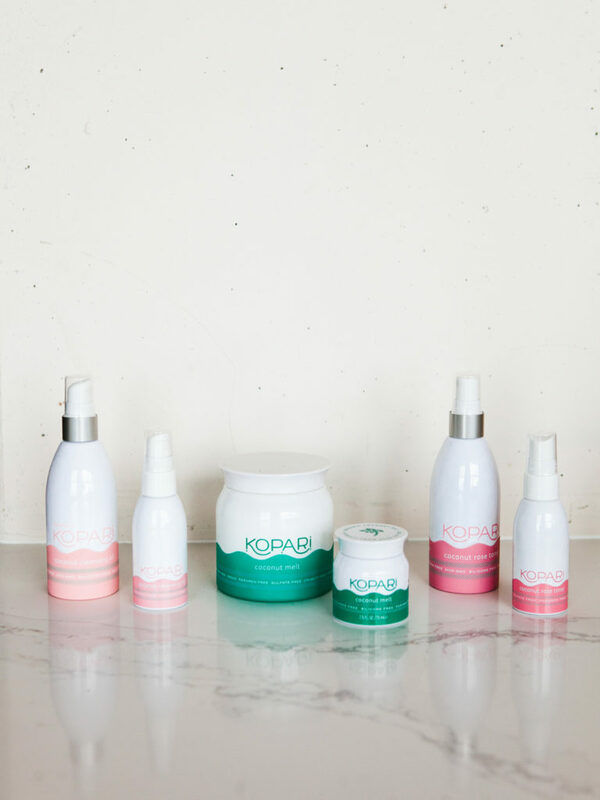 Personally, I can’t go one day without my Coconut Melt (you’ve heard me mention it in THIS YouTube video, also HERE on a recent trip to Mexico, & as one of my old faithfuls HERE), so of course I was thrilled when Kopari launched it in the mini size! Not only can you lather the Coconut Melt all over your body right out of the shower, but you can also use it to nourish your hair, your cuticles, dry patches on your knees & elbows, and it’s ultra-hydrating if you happen to spend too much time in the sun! And as fate may have it, Kopari knows a thing or 2 about compliments! 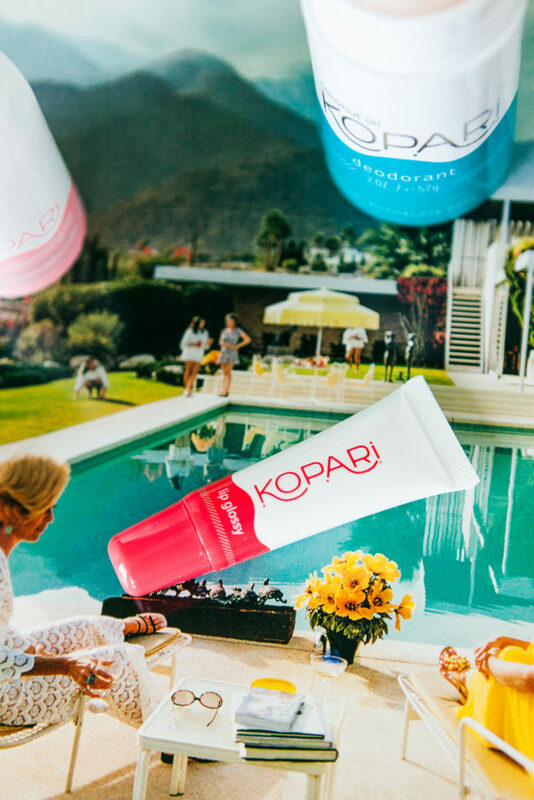 Kopari knows that when your skin smells like fresh coconuts, the compliments are endless! 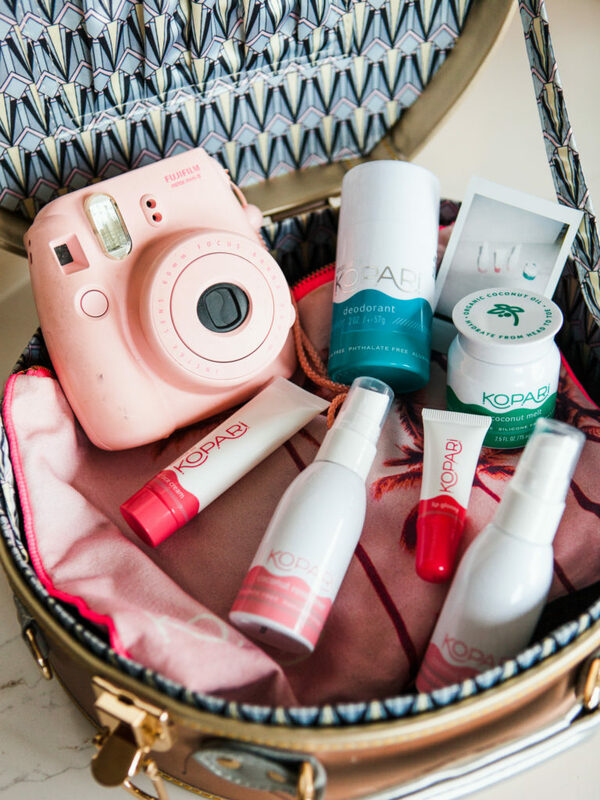 *Thank you to Kopari for encouraging women to learn how to take a compliment, for keeping my skin looking & smelling gorgeous, for helping me perfect my packing skills with your travel-size products, & for sponsoring this post!